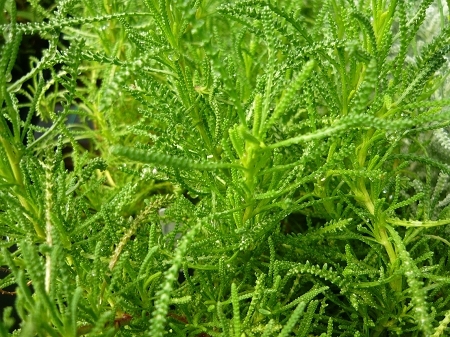 Green Santolina (santolina virens)- Aromatic evergreen shrub. Will form a low mounding hedge to about 20" tall x 36" wide. Good border plant for the herb garden. Yellow button like flowers when in bloom. Tolerant of poor soils. Drought and heat resistant. Perennial zones 6 and above. Live plant in 3 inch container. I have ordered this plant twice and they have been delivered in wonderful condition. Could not be more pleased with the service. Wonderful plant and smells soooo good! Thank you!